The pupil – the dark circle in the center of the eye that flexes in size based on available light – performs a much different role in people with psychosis. Choi, bolstered by a National Institutes of Health grant, is the principal investigator of the Neurofeedback Processing Speed Training project studying the use of pupillometry, or the measurement of pupil size and reactivity, in the treatment of patients with neurological conditions like psychosis. First, he employed a device called a pupillometer to gauge pupil changes as people with psychosis performed cognitive exercises. Then, he used the same tool to see if physical exercise on stationary bicycles had more impact on the pupil size. Most recently, he started incorporating a special exergaming board – purchased with $30,000 from the Hartford Hospital Auxiliary — to see if the gamer’s pupils change. The board, about half the size of a ping-pong table, features rows of electronic lights that illuminate in certain orders and at varying speeds. The client stands beside the board and must tap the lights as they illuminate, sometimes tapping multiple times if they flash multiple times. 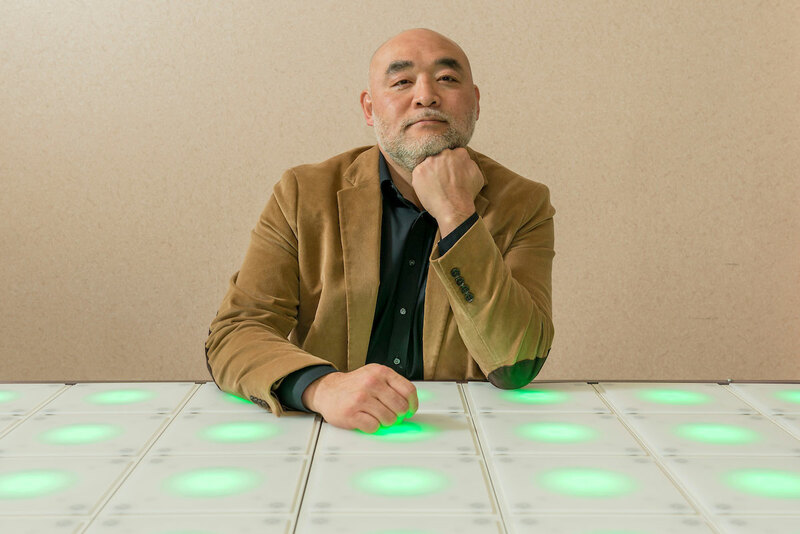 Choi and his research team build an algorithm tailoring the order and speed of the lights based on the participant’s specific cognitive deficit, encouraging the brain to react faster and faster. The team also monitors the player’s heart rate and the speed at which they perform the tasks, in addition to pupil reactions. The activity, Choi said, helps clients train their pupils to react differently, which can keep the symptoms of their disease in check. Most clients are encouraged to use the exergaming equipment for two or three hours a week to glean what he called “real world benefit.” Regular use is needed because he said the effects fade after a week. Study results, which Choi will present later this year at the International Congress of Schizophrenia Research, could be revolutionary in the treatment of people with psychosis, who can often find relief from the voices and other symptoms of the disease with medication but still struggle with cognitive problems. Looking ahead, Choi anticipates even more ways to use the gaming concept to help people. He has already compared the exergaming cognition results with those of people doing physical exercise to overcome the effects of psychosis in another of his studies, finding that tapping lights on the exerboard improves cognition 32.7 percent faster. The next step, he said, is to compare the performance of exergamers with psychosis with that of those who do not have the disease. In addition, while clients can currently use an exergaming program on tablets, Choi said he envisions having a smart phone application that makes access much more convenient and portable. For more information on the Institute of Living’s Olin Neuropsychiatry Research Center, click here.